With a steady stream of enquiries through its website, Liniar is able to work in partnership with customers to ensure the end user achieves the results they are looking for. Millbrook Developments is a family business with over 30 years’ experience in designing and building luxury homes. 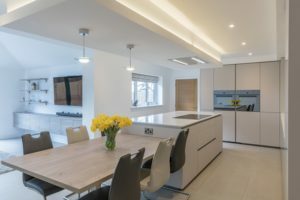 A property developer with a reputation for high quality, it’s important for Millbrook to select the best window and door products as part of its offering to customers. “We wanted flush sash casement windows in 7016 Grey for this development,” said Judith Johnson, Millbrook’s Managing Director. 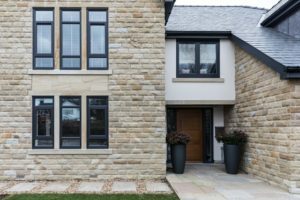 “We looked into various options, including timber and aluminium, but our research showed us that buyers prefer uPVC. 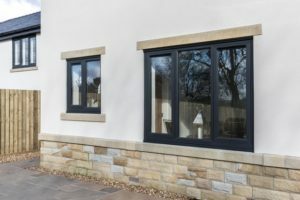 “Some of the systems I looked at didn’t offer a flush sash window but then my online investigations led me to Liniar and they just ticked all the boxes – stylish, energy efficient and a great choice of colours. 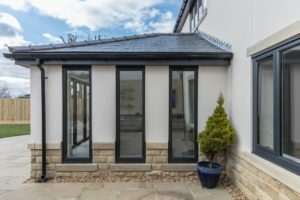 Judith contacted Liniar to find a fabricator that could manufacture, supply and fit the windows and matching bi-fold doors into Millbrook’s latest development in Barrow, near Clitheroe, Lancashire, and was put in touch with Alternative Windows in Leeds. “When Liniar contacted us about the enquiry, I encouraged Judith to pay us a visit. As well as seeing samples of the windows themselves, there’s no substitute for seeing where they’ll actually be made. I believe visiting our premises and meeting the team gives our customers the reassurance to be able to put their faith in us – especially when they’re spending in the region of £60k, which is a big investment to make. “As fabricators, we’re able to react quickly to any changes in specification – and as our on-site teams are experts at fitting all the products in the Liniar range, we can provide a full end-to-end service. 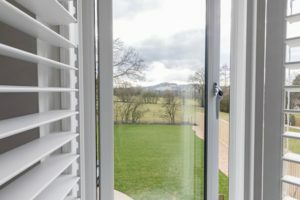 “Judith was keen to offer homeowners the choice of whether their windows were foiled internally, or whether they preferred white inside – and this was something we assured her we could easily respond to on an individual plot basis. As a result of this attention to detail and commitment to quality, the project progressed smoothly and exactly as planned. Judith concludes: “Everything was on schedule and the windows look beautiful. Even though we’ve had to use two different sized main frames to accommodate the style of the properties, the finished effect is fabulous.